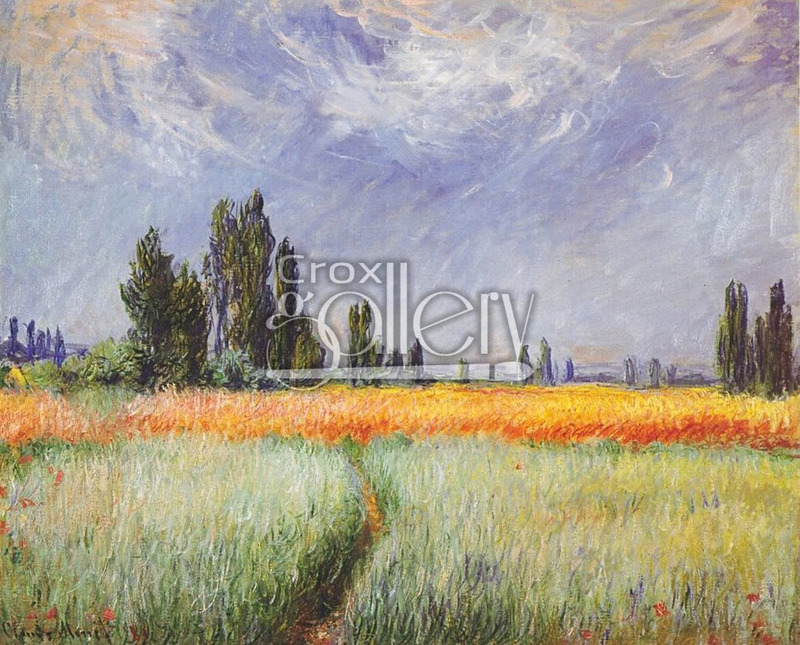 "Wheat Field" by Monet, Painting at the Cleveland Museum, Replica. 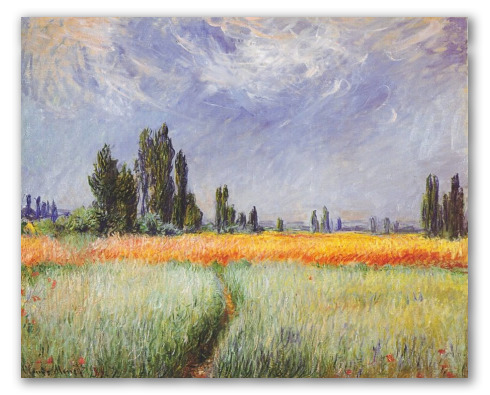 The painting Wheat Field was painted by Claude Monet in 1881. This work shows a landscape of the French countryside in the 19th century. The purposeful brushstrokes and thick colors are reminiscent of Van Gogh's style.